On August 7, catch DJ Amanda Darling's set at X Night Club (Ten Night Club) in Orange County. Her fans are FREE before 10:30pm, just say "Amanda Darling" at the door for you and your guests! Amanda's set: 12am - close. Full length Ambient album "Earth Tones" coming soon! 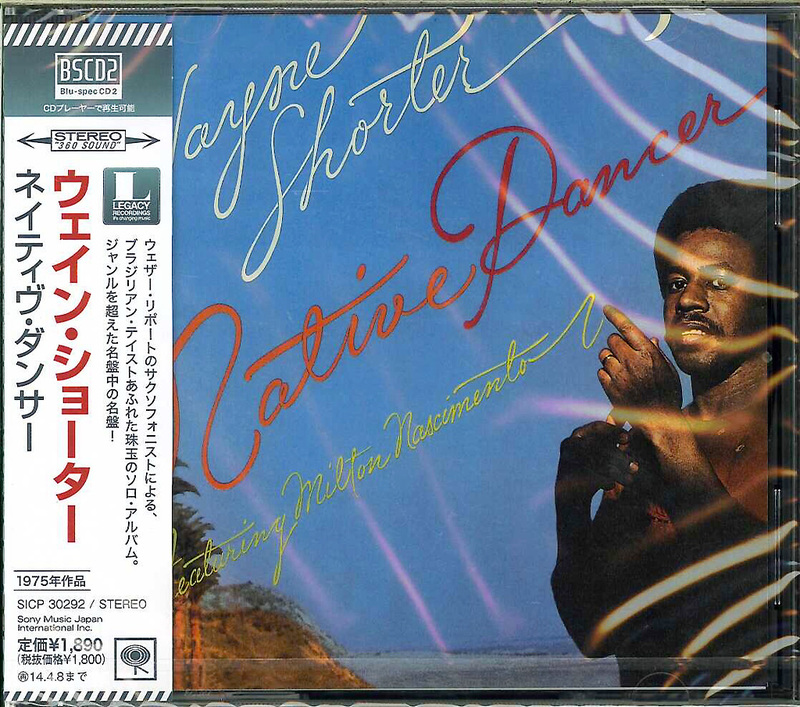 Wayne Shorter's seminal recording Native Dancer (Columbia, 1974) was a collaborative effort with the legendary Brazilian composer & singer Milton Nascimento which included a collection of such groundbreaking songs as "Ponta de Areia," "Milagre dos Peixes," "Tarde," and "Lilia" as well as Shorter's exceptionally poignants "Ana Maria" (included on Anne's amazing debut CD, "Azul"), "Bauty And The Beast" (that became a contemporary jazz classic) and "Diana" (dedicated to Airto & Flora Purim's daugher.) The album featured Herbie Hancock, Jay Graydon, Dave McDaniels and David Amaro interacting with Brazilian musicians Airto Moreira, Wagner Tiso, and Robertinho Silva. 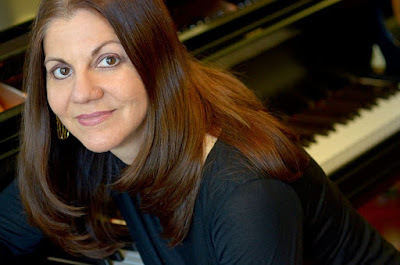 In this concert, the mega-talented Anne Sajdera and her sextet will perform selections from that recording in addition to original compositions inspired specifically by the depth of Shorter's and Nascimento's masterful music. This concert will be recorded for broadcast on KCSM and each audience member who makes an additional contribution to the musicians will be thanked on-air for that program. Jim Bennett of KCSM's In the Moment presents a new concert series at Musically Minded Academy, dedicated to continuing the legacy of jazz as a living art-form. For this concert, there will be a short first set featuring a mix of what the Sextet normally presents, followed by a brief intermission, and then a short discussion with Jim and Anne about the importance (historical and personal) of this particular recording. A few questions will be taken from the audience. The Sextet will then perform Native Dancer in its entirely, not as a mere recreation, but with the goal of bringing the music alive for a new audience. Not to be missed. 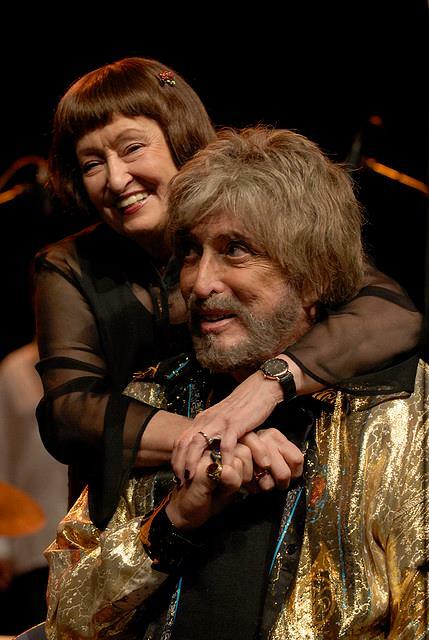 "A Tribute To The Compositions And Songbook of Mark Murphy"
"We'll celebrate the LEGACY of the most transformative male jazz singer in modern history Mark Murphy," Ari says. Be there or your a square. Seats still available for the "hip set" at 9pm call 212-995-0900 for a spot! Come on jazz cats don't sit on the fence! 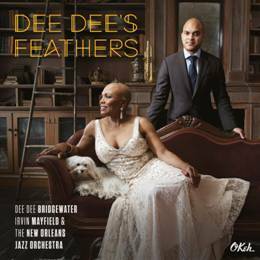 Dee Dee’s Feathers, a journey through the history of New Orleans as told through song and the collaboration of Dee Dee Bridgewater, Irvin Mayfield & The New Orleans Jazz Orchestra (NOJO), is set for release August 7th, 2015, via OKeh/Sony Music/DDB Records. Recorded at New Orleans’ Esplanade Studios, a studio in a reconverted historical church in the heart of the city that was badly damaged by Hurricane Katrina, the release of Dee Dee’s Feathers will be accompanied by tour dates worldwide including stops at The New Orleans Jazz & Heritage Festival, North Sea Jazz Festival, Montreal Jazz Festival, the Barbican in London and New York City’s famed Apollo Theatre on Halloween. Although steeped in history, Dee Dee’s Feathers is at the same time a modern exploration of the music and culture that makes New Orleans a city and place unlike any other. 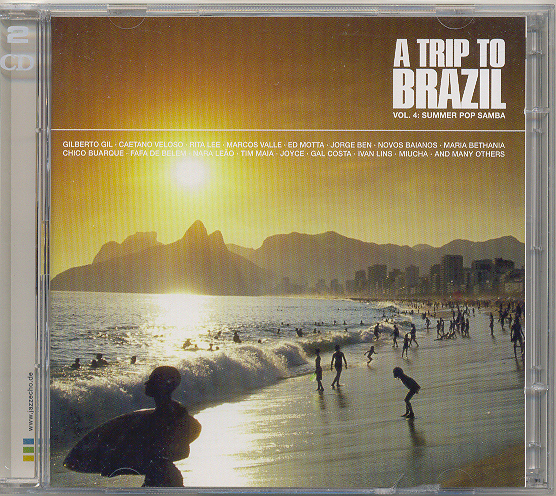 Traditional songs such as “Big Chief” (featuring guest artist Dr. John), “Saint James Infirmary” and “What A Wonderful World” – all songs indicative to and steeped in the culture of the Big Easy – co-mingle with new compositions such as “Congo Square” and “C’est Ici Que Je T’aime,” transporting the listener on a sensory voyage through the city, whether dancing in a Second Line or frequenting a storied bordello in the heart of the city’s French Quarter. The launch of the album and tour will also be tied-into the opening of NOJO’s New Orleans Jazz Market later in 2015. The first solely-dedicated space for Jazz and Education in New Orleans, Bridgewater will serve on the Board of Directors for the facility and has made a commitment to furthering music and education in the city in tandem with the facility. Also being released in tandem with Dee Dee’s Feathers is Mayfield’s new book, New Orleans Jazz Playhouse, a 304-page coffee table book that includes seven CDs of live music recorded at his Bourbon Street Jazz club, Irvin Mayfield’s Jazz Playhouse. The book reflects on Irvin’s unique experiences as a New Orleans native, a Jazz musician, and the many influences in his life including countless musicians, artists, photographers, chefs, teachers, and other mentors. Unifying and grounding the various stories, poems, and essays are two central concepts that permeate the book: jazz & love. Illustrating Mayfield’s well-crafted words is a collection of some of the most culturally significant photography and artwork by master craftspeople such as John Scott, Gordon Parks, George Rodrigue, Herman Leonard, Greg Miles, and Erika Goldring, and the book features an introduction by biographer Walter Isaacson, a foreword by novelist Ernest Gaines, and an afterword by trumpeter and jazz-master Wynton Marsalis. 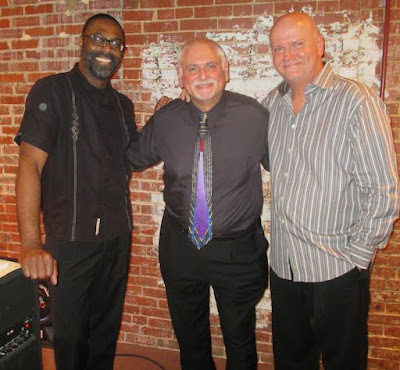 "Please join me with the legendary Bird Fly By Trio - Jay Anderson on bass and Dennis Mackrel on drums as we start our July tour at Midday Jazz Midtown - Saint Peter's Church - Jazz Wednesdays - Produced by Ronny Whyte. Lexington and 54th St. Phone is 212 935-2200. There is a suggested contribution at the door. CD's will also be available." Concert starts at 1pm. 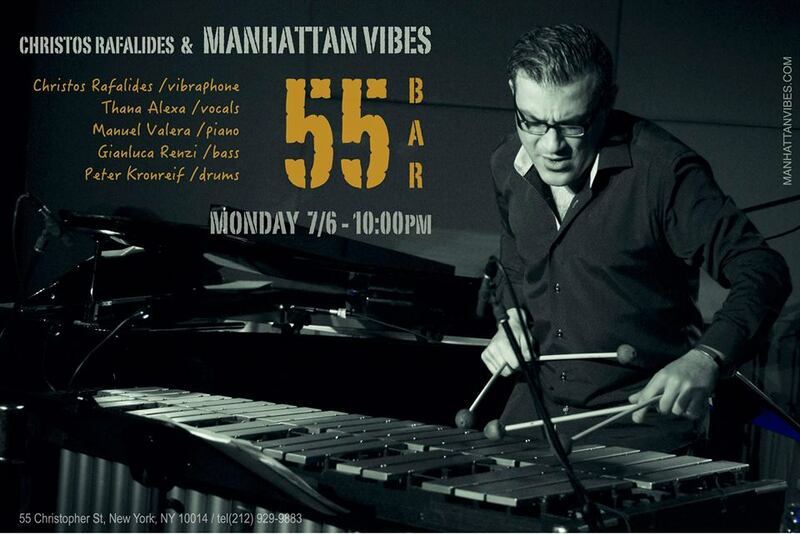 Not to be missed if you are in the NY area. See u there! 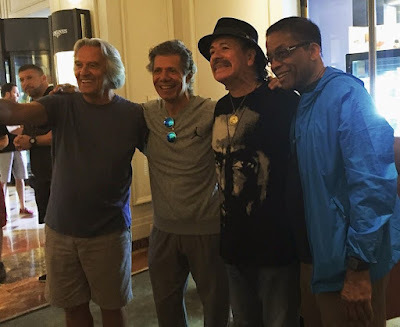 John McLaughlin, Chick Corea, Carlos Santana and Herbie Hancock after an historic night at the Montreux Jazz Festival, yesterday. Like Quincy says, "un-be-lie-va-ble!" 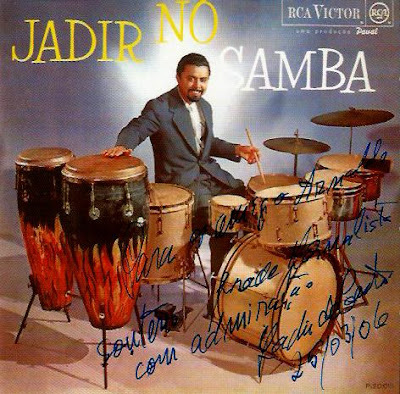 My dear friend Jadir de Castro -- one of the most important drummers and percussionists in the history of Brazilian music -- just passed away today, at age 88. But he was still a kid, always generous, kind, with good humour. And still playing when among friends. I was blessed with the chance to work with this legendary artist in several occasions. 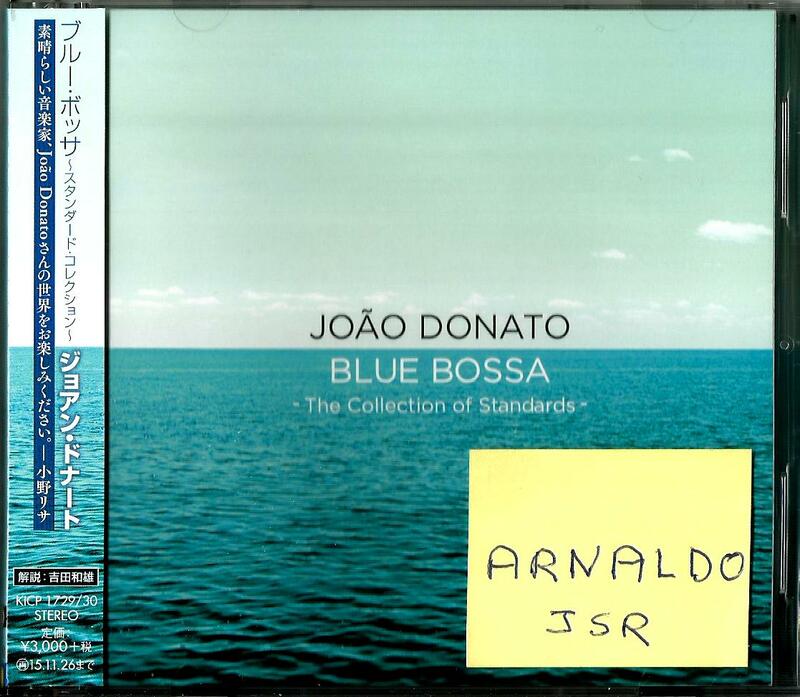 The first time was in 1997 when I signed another late friend and great musician, Dom Um Romão, to my JSR label. Dom Um introduced me to Jadir and invited him to play on an album we were recording in my native Rio: Dom Um's "Rhythm Traveller" CD, co-produced by Toninho Barbosa. 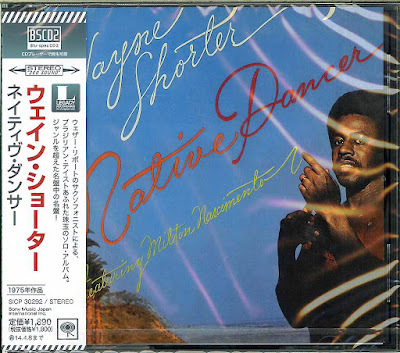 The album was released the following year, all over the world, receiving critical acclaim and becoming a best-seller in Europe, specially in England, where it reached the Top 10 acid-jazz charts of "Straight, No Chaser" magazine. Later on, in 1998, we started to produce Jadir's own album that featured such guests as José Roberto Bertrami on keyboards, Jorge Pescara on bass (my first session with Pescara), and Dom Um Romao on percussion. 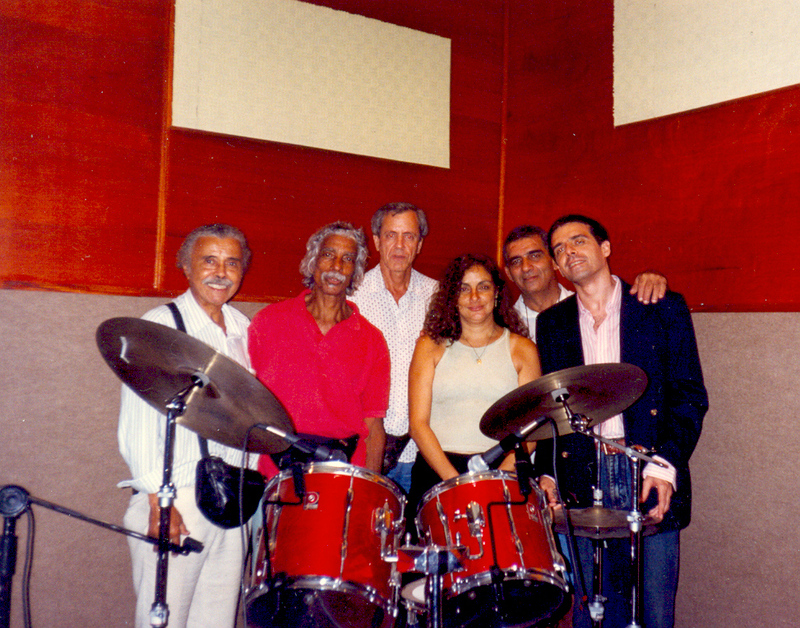 We kept doing many recording sessions during the 2000s for albums by singer Ithamara Koorax ("Brazilian Butterfly," "Ithamara Koorax Sings Getz/Gilberto" and "All Around The World," among others.) Jadir also did some rare live performances as a percussionist with Dom Um & Koorax (plus Eloir de Moraes, Palmyra & Levita, Marcelo Salazar and DJ Marcelinho DaLua in a small tour in 2003) as well as a drummer with Koorax in long engagements at Sofitel Rio (with Paula Faour and Bertrami on keyboards and Jorge Pescara on bass) between 2005 and 2007. Jadir Teixeira de Castro started his professional career at age 14 in Rio. 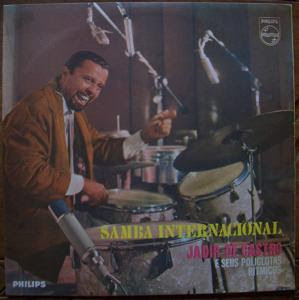 He moved to Europe in 1952, touring with the Askanazy's folk group Brasiliana, later joining Roberto Inglez' Orchestra (performing in many concerts for London's BBC and recording the album "Latin-American Music Played By Rogerto Inglez And His Orchestra" for the Parlophone label in 1953), then the Radio-Télevision Française, the St. Moritz's Palace Hotel Orchestra, the Stol Theatre band in Glasgow, touring with the Perez Prado band, and doing a TV special in Rome with Sofia Loren and Gina Lollobrigida. 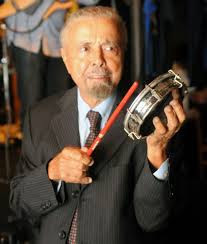 Jadir also lived in Monte Carlo and Paris, where he played in the Moulin Rouge band and appeared on Brigitte Bardot's debut film, "And God Created Woman" (Et Dieu Creá La Femme, directed by Roger Vadim in 1956) on which he can be seen in the famous long final sequence, playing percussion while Bardot dances in a trance. That same year (1956), he joined a group led by Silvio Vieira in Hamburg, where he married a German girl, Ilse, the mother of his daughter Ina and his son, Ernst. 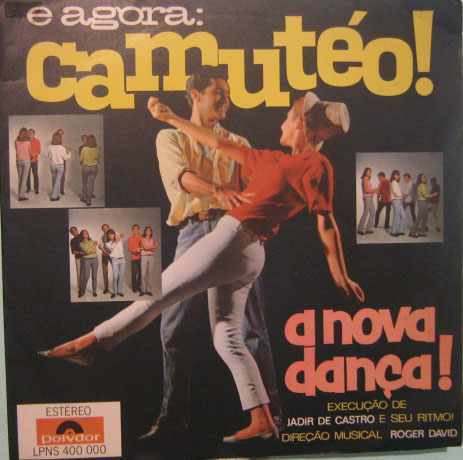 Returned to Brazil in 1961, joining Rubens Bassini's group Os 11 Magníficos, with Waltel Branco, Humberto Garin, Jorge Ferreira da Silva, Ohana, Humberto Garin and Pedro dos Santos. Toured Russia with Nora Ney & Jorge Goulart, and played with Bené Nunes. 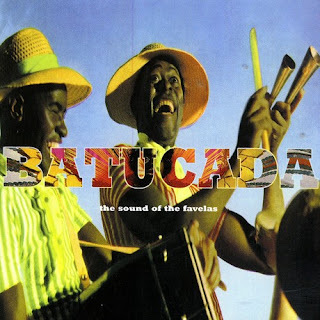 As a composer, he wrote such hits as "Ziriguidum" (I have included the Baby Consuelo studio version on the "Trip To Brazil Vol.4" CD compilation I produced for Verve in 2005), "Nega Sem Sandália" - also known as "Pouquoi" and "E-Samba" (a dancefloor hit in Europe and Asia, with over 30 recordings by people like Elza Soares, Miltinho, Luiz Carlos Vinhas, Junior Jack) and "Lição de Baião" (also a hit in Brazil, recorded by Ed Lincoln, Baden Powell, Adriana Calcanhoto.) 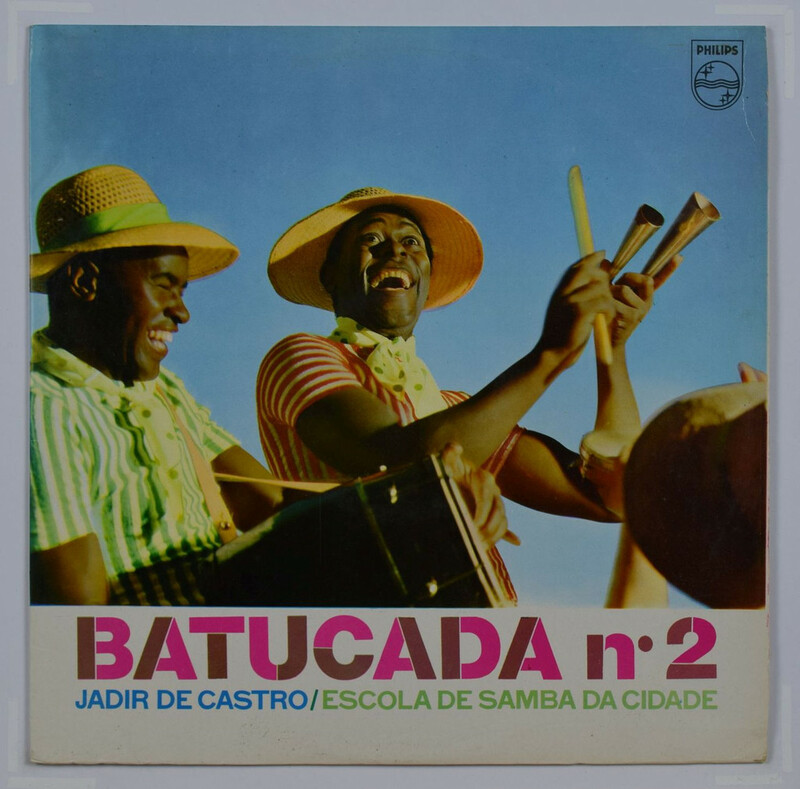 Not to mention such instrumental tunes as "Ozônio" and "Repimar," from the cult "heavy batucada" albums that he recorded as a co-leader with Dom Um Romão in the early 70s, and later included in several iconic compilations like "Batucada - The Sound of the Favelas," issued by the London-based Mr. Bongo label. One of the first Brazilian drummers to record albums as a leader -- long before Milton Banana and even Dom Um --, Jadir de Castro released 14 fantastic LPs for labels like RCA, Philips, Polydor, Barclay, Enir, Pawal and Sideral. 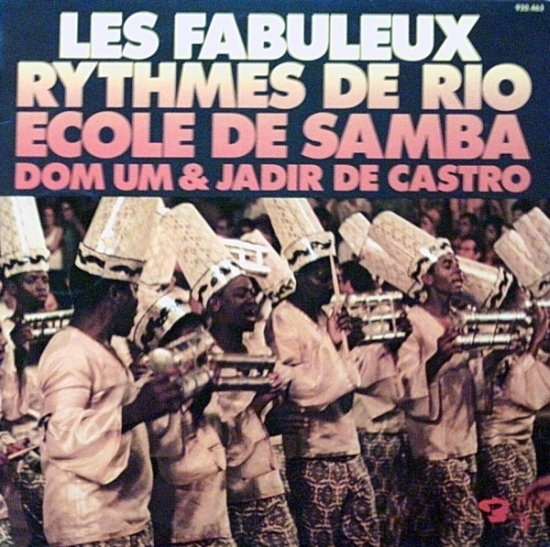 Among them, “Jadir No Samba” (reissued on CD by BMG in 2004), “Gênio da Batucada”, “Samba Internacional (Jadir de Castro & Seus Poliglotas Rítmicos), “Les Fabuleux Rythmes De Rio - Ecole De Samba" (with Dom Um Romao), "Samba Século 21," "Batucada nº 2" and “E Agora: Camutéo! – A nova dança!” In 2011, he released the book "Ciências Rítmicas - Memórias" and its companion DVD, "Gênio da Batucada." Rest in Samba. STEVE GETZ, Jazz Impresario/Concert Producer, announces the debut of THE STEVE GETZ MUSIC HALL at LEHMAN COLLEGE, Bronx, New York, in September 2015. Steve is a veteran of the Jazz business, spanning 35 years of accumulated experience as Music Director/Talent Buyer for Jazz Clubs- Fat Tuesday's (NYC); The Blue Note (NYC) and Yoshi's ( Oakland,CA); Agent and Manager of Jazz Artists-Phil Woods; Chuck Loeb; Harry Allen and Sarah Jane Cion; Record Producer-produced award winning recordings of Steve's Father, legendary Jazz tenor saxophonist, STAN GETZ. Btw, in the 70s Steve performed in Brazil as a percussionist on Stan's group! And we were introduced by my much missed friend Luiz Bonfa. 9/11 Fri Andy LaVerne Trio "Plays The Stan Getz Song Book" Featuring Ralph LaLama,Tenor Saxophone;Carol Fredette,Vocals;Judy Niemack,Vocals. 9/19 Sat "JAZZ VOCALIST JAZZ WORKSHOP" 2-"DIVINE VOCAL DUETS"- Nicole Pasternak Featuring John Di Martino Piano; and Nora McCarthy Featuring Ray Gallon,Piano. 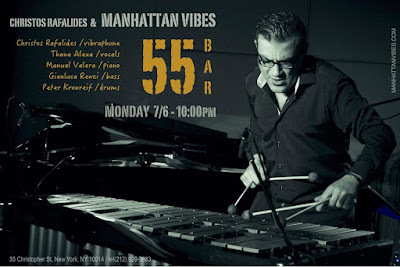 Celebrate Independence Day with Jorge Sylvester ACE (Afro Caribbean Experimental) Collective Extended Edition on Tuesday, July 7 at Jazz Tuesdays in the John Birks Gillespie Auditorium at 53 East 11th Street (between University Place & Broadway). There will be 2 shows at 8:00 and 9:30 pm. Call 212-222-5159 for advanced sales and information. 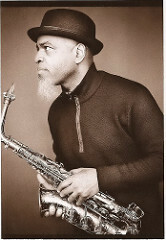 The ACE Collective is a group of improvising musicians created and led by saxophonist/composer/arranger Jorge Sylvester. An extension of the ACE Trio (alto saxophone, electric bass and drums), the ACE Collective includes three additional independent rhythmic and melodic elements: the voice, trumpet and piano expanding its harmonic colors, its scope of sound and its textural capacity. The music is original, new and experimental and draws from the Afro-Caribbean Diaspora, jazz and the free music art forms. 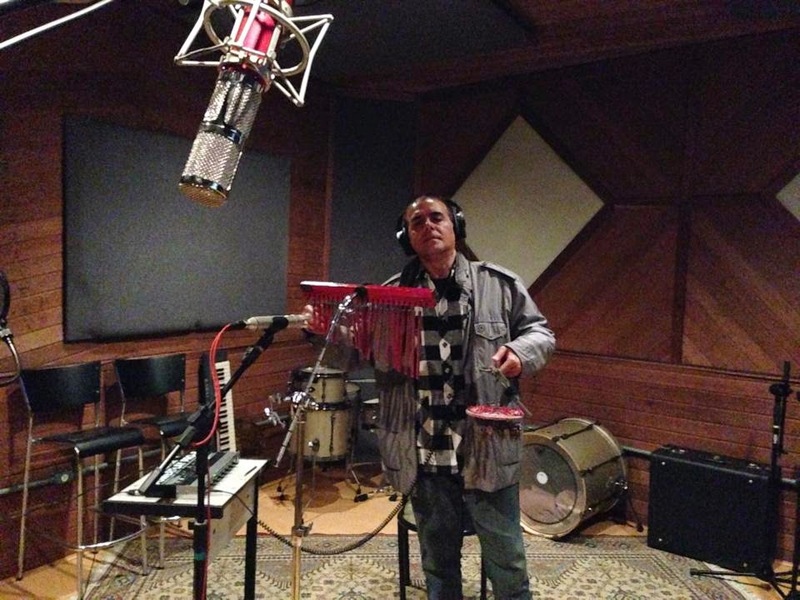 A native of Colon, Republic of Panama, Sylvester's original compositions are indicative of the vast cultural mixture that is Central America. The ACE Collective utilizes the rich spectrum of rhythms from the Caribbean and other Latin American countries as a vehicle to create new and undiscovered rhythmic melodic lines within the jazz tradition. Collective and free improvisation is an essential part of the concept utilizing juxtaposition and retrograde as main components of the experimentation. 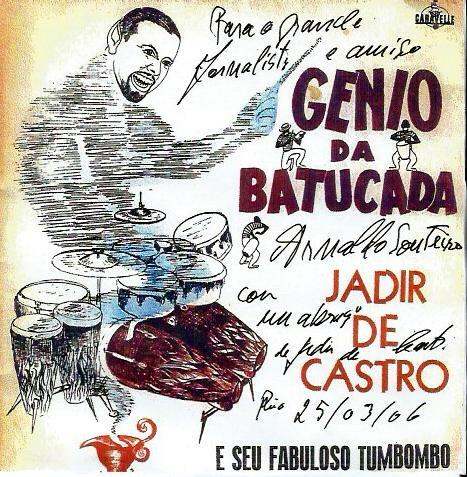 Afro-Caribbean rhythms and their relationship to the avant-garde music form have not been documented. 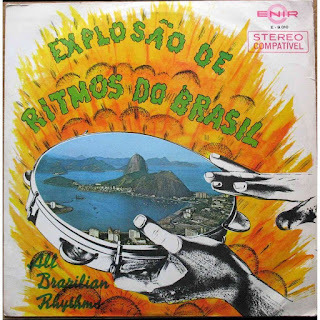 Unlike the work of composers such as Charles Mingus, Duke Ellington, Dizzy Gillespie and others who used Afro-Caribbean rhythms in their works without experimenting with their rhythmic pulse, the compositional structure of the music of the ACE Collective goes beyond an absolute interpretation, and delves deeper into the core of the rhythms breaking them down and expanding the pulse into a myriad of complex configurations that tap into the original primal properties of the music itself, reflecting its history and its origin, unraveling its many transmutations and adaptations over time and discovering new possibilities and applications within the tradition itself that are related to the avant-garde. 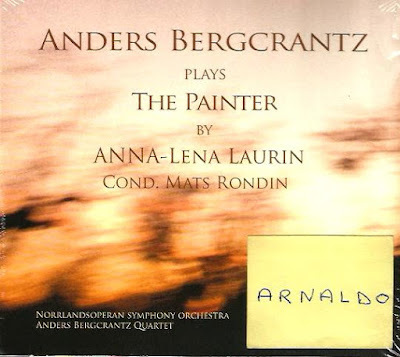 The poetry reflects the message of the compositions by telling the story of each piece and its historic relevance to the music adding an important educational dimension. Other compositions that are significant to the history of jazz music are also occasionally introduced into the performance highlighting certain lesser known but meaningful composers from the Caribbean. 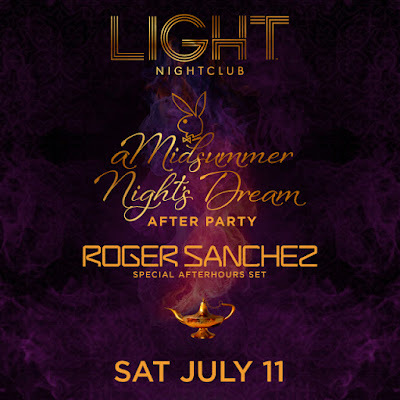 Tickets will be sold at the door, or call 212-222-5159 for advanced sales and information. For more about "Jazz Tuesdays",check out our website at www.jazzbeat.com. Two shows: 8:00and 9:30 p.m. 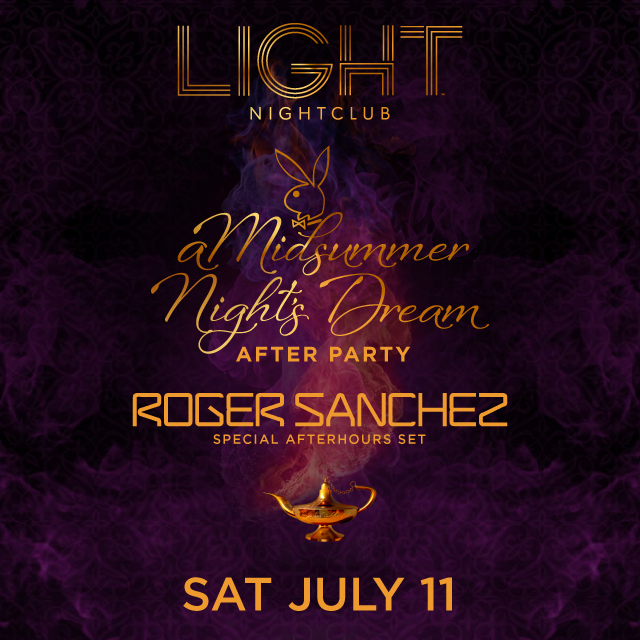 I'm flattered that Mr. Sanchez, one of the best DJs in the world, helped to make one of my productions, Dom Um Romao's "Lake Of Perseverance," a big hit not only in the jazz field but also in the dancefloor charts all over the planet, by including its title track on his best-selling CD "Release Yourself, Ibiza 2002." Thx, Bro! Garrison Fewell, guitarist, author, and educator, died today, July 5, 2015 at the age of 61. Fewell grew up in Philadelphia. At the age of eleven he learned to play guitar and in 1967 began to perform as a professional musician in his hometown. In 1972 he went on a tour of the Middle East. 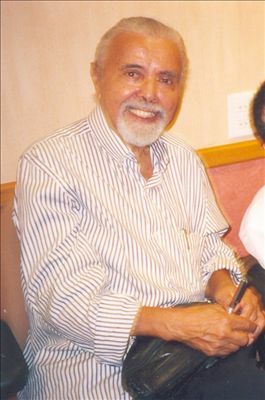 After his return to the United States, he studied jazz guitar with Lenny Breau and Pat Martino at the Berklee College of Music. Upon his graduation in 1977 Fewell joined the guitar department at Berklee where he taught for 38 years and authored two active textbooks on jazz guitar: Jazz Improvisation for Guitar - A Melodic Approach, and Jazz Improvisation for Guitar - A Harmonic Approach. He also wrote for music magazines such as Guitar Player, Guitar Club, Chitarre and Axe. In 1988, he joined the academic exchange program in Rotterdam, working with Cees Slinger, and played at the North Sea Jazz Festival in a duo with pianist Dave Frank. In 1989 he moved to Paris, taught at the American School of Modern Music, and performed in ja zz clubs in the city. On a tour of Italy, he performed at the Umbria Jazz Festival in Perugia. 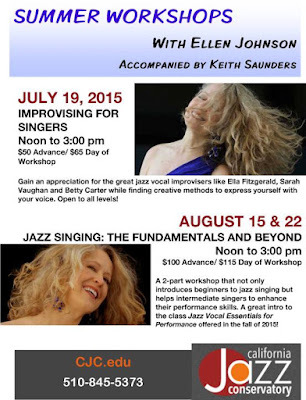 Fewell worked in duo with pianist Alex Ulanowsky on a teaching program in jazz theory and improvisation. They also played concerts and held workshops in Holland, Belgium, Italy and Austria. In 1991 he received a grant from the National Endowment for the Arts and taught at the Jazz & Rock School in Freiburg and taught counterpoint and the music of Johann Sebastian Bach and Charlie Parker at the conservatories of Leipzig and Weimar. In 1992 he taught in Cologne and Aachen and also played with David Friesen on the Zelt-Musik-Festival in Freiburg. In 1993, Fewell was joined by Fred Hersch, Cecil McBee and Matt Wilson on his debut album (Accurate) A Blue Deeper Than the Blue and subsequently recorded as leader on Reflections of a Clear Moon (Accurate) in l997, Birdland Sessions (Koch) in 2000, City of Dreams (Splasc(h)), and Red Door Number 11 (Splasc(h)) in 2003. In 2009 he founded the Variable Density Sound Orchestra and recorded two albums on his own Creative Nation Music label, in 2009 and on Sound Particles 47 in 2013. He has worked with Achille Succi, Roy Campbell, Jim McNeely, George Cables, Steve Laspina and Billy Hart. 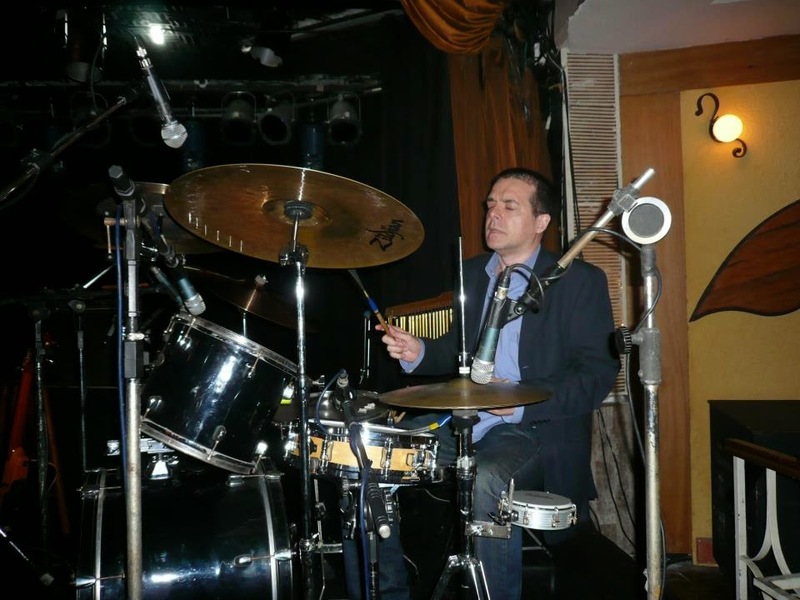 From 1994 to 1999 Fewell held summer courses in Warsaw at the invitation of the Polish Jazz Society and played with Polish artists at the Solo / Duo / Trio Festival in Krakow. In 1995 in Hungary he collaborated with pianist Laszlo Gardony and appeared at the Tatabanya Jazz Festival with Dusko Goykovich and Zbigniew Namyslowski. He also held joint summer courses and appeared at Copenhagen's Jazzhus Montmartre . At the invitation of the International Association for Jazz Education (IAJE) Fewell taught with Bill Dobbins in the late 1990s and founded a conference of the European IAJE in Maastricht. From 1995 to 1999 he held jazz workshops at the Montreux Jazz Festival , where he performed with his trio. In 1996 he toured with Tal Farlow on Musikmeesse in Frankfurt am Main. Around 2000 he turned to more improvised music, joining John Tchicai on their 2005 S oul Note recording Big Chief Dreaming. A trio with Tchicai and Charlie Kohlhase followed in 2006, producing the live recording Goodnight Songs (Boxholder). As a co-leader, his subsequent recordings include The Lady of Khartoum with Eric Hofbauer in 2008 (CNM), John Tchicai's Five Points in 2009 (NuBop), Estuaries with Steve Swell in 2013 (dEn), and Tribal Ghost also in 2013 (No Business). In recent years Fewell divided his time between teaching at Berklee, holding private concerts at his home, playing at clubs in the U.S., and an extensive playing and teaching schedule from his home in Bergamo, Italy. 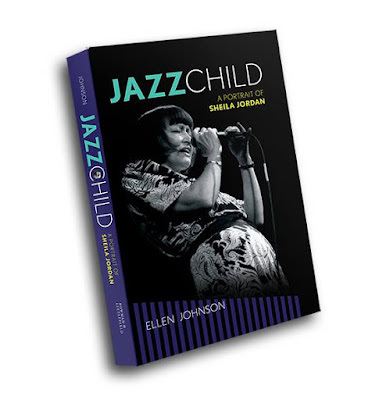 The last and perhaps most significant project was the 2014 publication of his book Outside Music, Inside Voices: Dialogues on Improvisation and the Spirit of Creative Music, a series of interviews with John Tchicai, Han Benninck, Dave Burrell, Joe McPhee, Matthew Shipp, Roy Campbell, Irene Schweitzer, Milford Graves, Henry Grimes, William Parker, Oliver Lake, Henry Threadgill, and many others. 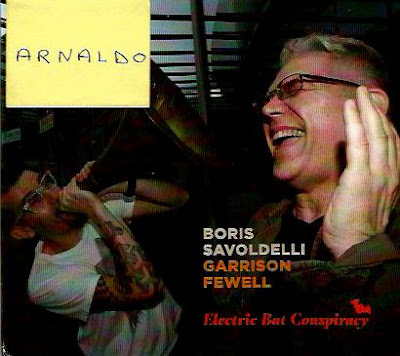 He also recorded a fantastic duo album with Italian singer Boris Savoldelli, "Electric Bat Conspiracy." Fewell is survived by his wife, Emy, and son, Alex. Wishing everyone a Happy 4th of July weekend! 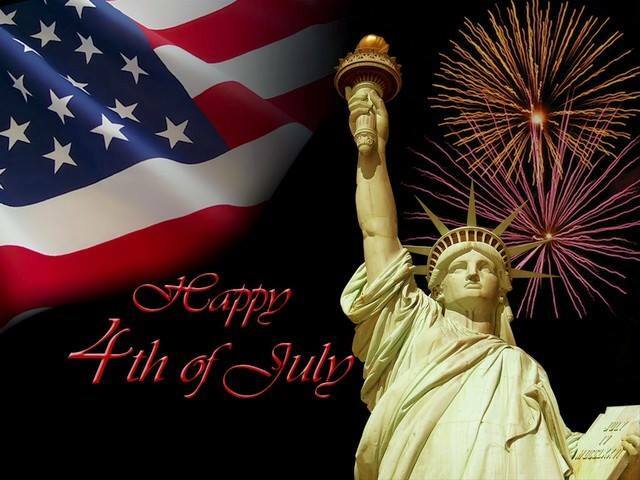 Enjoy it with your Family & Friends & remember to open your hearts and your home to someone who is alone. Holidays are meant for laughter and fellowship, be that BLESSING to others. 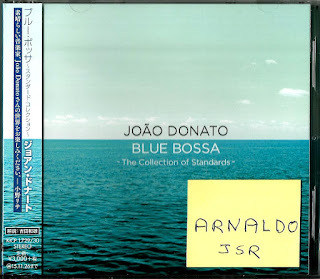 Bossa Nova CD of the Month - "João Donato: Blue Bossa / The Collection of Standards"
The album title may suggest a project of jazz and/or GAS standards, but this 2-CD set with 27 tracks also includes overdone bossa classics ("Desafinado," "Wave," "Girl From Ipanema," "A Felicidade," "Corcovado") and Donato's striking originals "Minha Saudade," "Amazonas," "Emoriô," "A Paz," "No Coreto," and "Vento No Canavial." However, as I expected, the best moments come from the title's promise: Kenny Dorham's Blue Note jazz standard "Blue Bossa," several GAS classics recorded by Sinatra ("Fly Me To The Moon," "But Not For Me," "'S Wonderful") and some odd choices ("Besame Mucho," "Smile") that, surprisingly, work well in this mixing pot. The highlights are two songs that Donato has always loved ("Tenderly," "Tea For Two"), a piano solo rendition of "The Shadow Of Your Smile" (wish there were other solo tracks!) 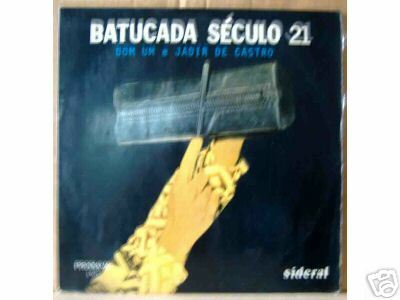 used to close the album, and specially a delightful version of "How High The Moon" featuring the great interplay between Donato's acoustic piano and Ricardo Ponte's flute; both perform exquisite solos, with Donato starting his statement with a quote of Deodato's "Estrelinha" that he had recorded in 1976 for the never released "Prossiga" album. Crossover CD of the Month - "Anders Bergcrantz Plays The Painter by Anna-Lena Laurin"
12" Vinyl Reissue of the Month - "Hubert Laws: Afro-Classic"
Featuring: Hubert Laws (flutes), Bob James (Fender Rhodes electric pinao), Ron Carter (bass & cello), Freddie Waits (drums), Airto Moreira (percussion), Richie 'Pablo' Landrum (congas), Dave Friedman (vibes), Gene Bertoncini (acoustic guitar), Fred Alston Jr. (bassoon) et al. 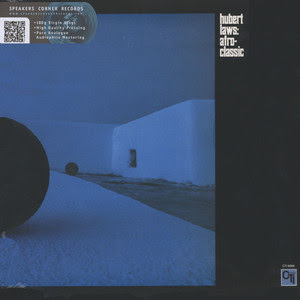 Hubert Laws' second album for CTI, "Afro-Classic" was the follow-up to pop-oriented "Crying Song," and Laws' first collaboration with master arranger Don Sebesky, who created fascinating musical landscapes. It's a groundbreaking record, a mixture of classical themes and jazz, handled with an airy CTI approach – and set to arrangements by Don Sebesky that are simply mindblowing! The album's a wonderful example of the way that CTI really pushed the boundaries of instrumental expression in the 70s – taking Laws wonderfully breathy work on flute, and mixing it with some well-crafted backings that feature Bob James (Fender Rhodes), Ron Carter (acoustic bass & cello), Freddie Waits (the drummer on Laws' touring band at that time), Airto (percussion), Dave Friedman (vibes, sometimes using the fuzz pedal) and the secret weapon of the session, Gene Bertoncini on the acoustic guitar. This ensemble is handled by Sebesky, who really brings some magic to the record – a sense of sound, space, and timing that's still a heck of a lot more mature and sophisticated than most instrumental recordings coming out today! The record's an incredibly baroque set of tracks featuring arrangements by Don Sebesky that mix complicated lines on flute with electric piano from Bob James, into a swirling mass of sound that's warm, soulful, and fuzzy. The record's incredibly hip, even on material like Francis Lai's mellow pop ballad "Theme From Love Story" (written by Francis Lai for the blockbuster movie), then a monster hit on the Billboard charts. "Creed thought it would be an interesting idea to incorporate some of the classical music that had been used in the film," Laws remembers. "So, we also recorded Mozart's Flute Sonata In F and the Allegro from Bach's Concerto No.3 in D."
James Taylor's "Fire & Rain" features an hipnotic groove propelled by Carter's bassline. 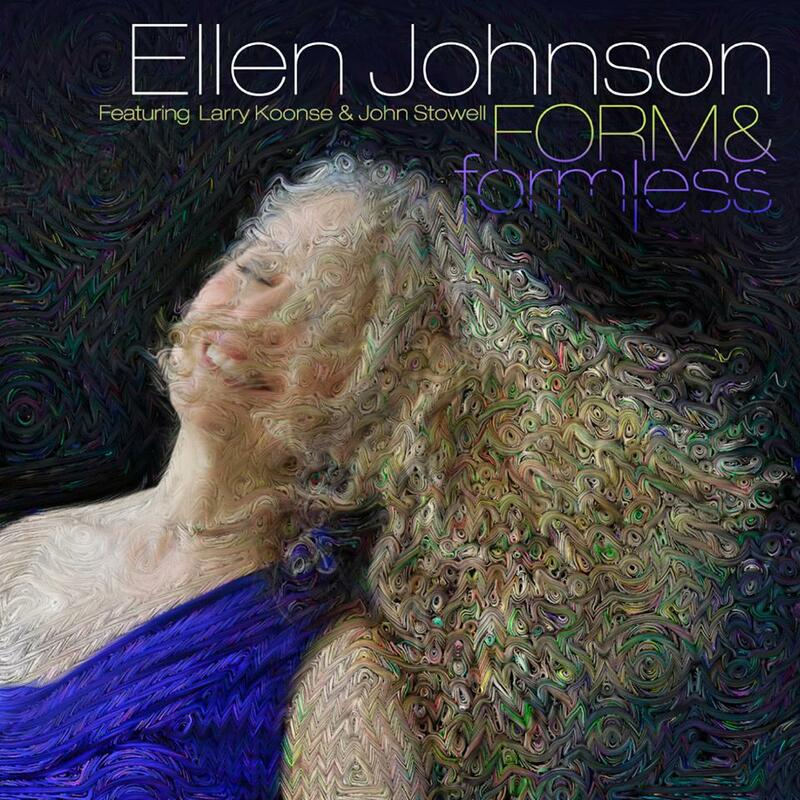 On the 15-minute long jazz adaptation of Bach's "Passacaglia In C Minor," the album tour-de-force, Laws (on electric flute), Carter (doing an unbelievable electric cello solo) and Bertoncini (great performance on acoustic guitar) soar away into another plane of being! Regarding the voluminous "Passacaglia," Hubert once told: "The chord changes are pretty much like some fourth changes we would use today in some jazz pieces. The feel, the ambiance of the piece was first created by the opening theme, which almost sounds religious. After that, we took Bach's music in a different direction, rhythmically and harmonically. That album really set a precedent for me, because it blended both elements of classical and jazz, and I began to be identified with that more than anything else." 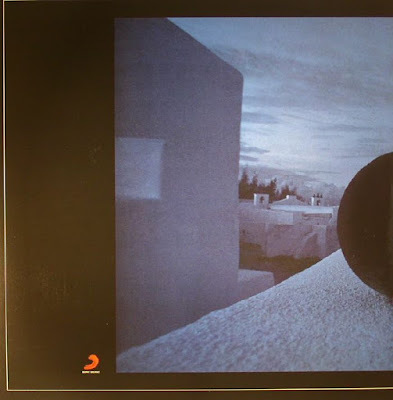 Jazz flute and CTI were never the same after this album, that would be followed by the even better "Rite Of Spring," recorded in 1971 with the same arranger and almost all the same musicians (Jack DeJohnette replaced Freddie Waits.) Both became genuine classics in the CTI catalog. And, 45 years later, Hubert Laws continues to be acclaimed as "the most accomplished flutist ever to play jazz," like Leonard Feather once wrote when reviewing the "California Concert" by the CTI All-Stars to the British newspaper Melody Maker. Amen.